Cybrid plant mitochondria undergo homologous recombination, mainly BIR, keep a single allele for each gene, and maintain exclusive sequences of each parent and a single copy of the homologous regions. The maintenance of a dynamic equilibrium between the mitochondrial and nuclear genomes requires continuous communication and a high level of compatibility between them, so that alterations in one genetic compartment need adjustments in the other. The co-evolution of nuclear and mitochondrial genomes has been poorly studied, even though the consequences and effects of this interaction are highly relevant for human health, as well as for crop improvement programs and for genetic engineering. The mitochondria of plants represent an excellent system to understand the mechanisms of genomic rearrangements, chimeric gene formation, incompatibility between nucleus and cytoplasm, and horizontal gene transfer. 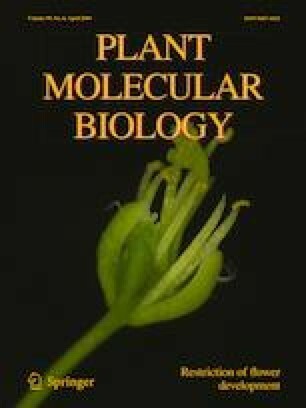 We carried out detailed analyses of the mtDNA of a repeated cybrid between the solanaceae Nicotiana tabacum and Hyoscyamus niger. The mtDNA of the cybrid was intermediate between the size of the parental mtDNAs and the sum of them. Noticeably, most of the homologous sequences inherited from both parents were lost. In contrast, the majority of the sequences exclusive of a single parent were maintained. The mitochondrial gene content included a majority of N. tabacum derived genes, but also chimeric, two-parent derived, and H. niger-derived genes in a tobacco nuclear background. Any of these alterations in the gene content could be the cause of CMS in the cybrid. The parental mtDNAs interacted through 28 homologous recombination events and a single case of illegitimate recombination. Three main homologous recombination mechanisms were recognized in the cybrid mitochondria. Break induced replication (BIR) pathway was the most frequent. We propose that BIR could be one of the mechanisms responsible for the loss of the majority of the repeated regions derived from H. niger. The online version of this article ( https://doi.org/10.1007/s11103-019-00869-z) contains supplementary material, which is available to authorized users. This work was supported by Universidad Nacional de Cuyo (Sectyp M033), Agencia Nacional de Promoción Científica y Tecnológica (Grant No. PICT1762) to M.V.S.P and by NSF (Grant No. 1062432) to Indiana University, which supports the computer cluster. MVSP and LEG designed the study and analyzed the data. MZ and EZ produced the repeated cybrid and performed the DNA extraction for sequencing. MVSP, LEG, MZ and EZ wrote the manuscript.